Pharmaceutical Validation Reference from C.H.I.P.S. This reference teaches proper procedures for using tools and analytical methods in a regulated lab setting. 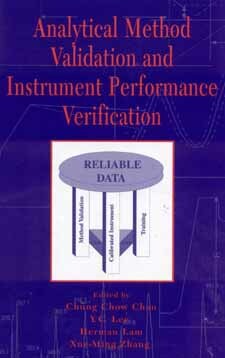 Analytical Method Validation and Instrument Performance Verification provides a uniquely practical approach to method validation and instrument performance verification. Each chapter starts with general requirements, then moves to the strategies and steps taken to fulfill these conditions, and finishes with a discussion of practical problems and their solutions.